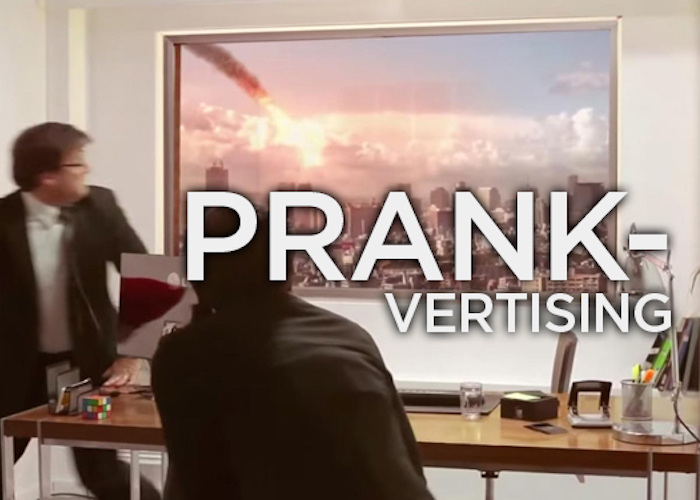 Prankvertising is a new form of advertising and online fun where brands target anonymous individuals with a shocking experience. One can encounter many branded pranks across diverse product categories like food, beverages and cosmetics including companies like Coca-Cola, Pepsi, Heineken, and Herbal Essences. Most frequent objectives set for branding pranks are: maximizing reach and brand visibility, generating attention, eliciting strong emotions and providing a compelling portrayal of brand core ideas as seen below.